A Buddha is someone who has completely eliminated all defilements from the mind and developed all good qualities limitlessly. Buddhas are sources of all well-being and happiness because they teach us the Dharma and by practising that, we will eliminate all misery and create the causes for all happiness and peace. 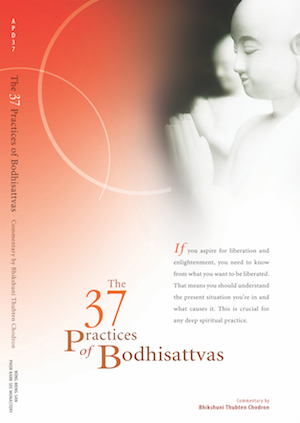 To accomplish the final goal of the teachings, we have to know what to practise, and thus this book will explain the practice of bodhisattvas. By doing these bodhisattva practices, we will become bodhisattvas, advance on the bodhisattva path, and eventually become fully enlightened Buddhas.